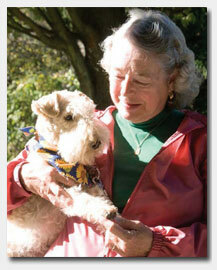 As a pet-friendly retirement community, St. Anne’s allows furry and feathery companions in our villas and cottages. Residents in our apartments, personal care and skilled care can also enjoy the company of two dogs, four cats and a bird who call St. Anne’s “home.” While our residents provide daily affection, it is our Pet Committee who handles the financial responsibility of caring for the pets owned by St. Anne’s Retirement Community. Help keep tails wagging and feathers flapping at St. Anne’s with a donation to our Pet Fundraiser now through April 11, 2016! The St. Anne’s Pets Committee is hosting its annual campaign to raise funds to care for our pets. In addition, we want to help local, less fortunate animals with a collection drive for the Lancaster County SPCA‘s wish list. The fundraiser concludes on April 11th with a celebration for National Pet Day. Want to make a donation? Bring items from the Lancaster County SPCA’s wish list to St. Anne’s and drop it in the donation bin just off our main entrance lobby. You can make donations to our pet fundraiser at the front desk too! Not able to make a donation? Show your support by sharing the details of our fundraiser and collection drive on Facebook or Twitter! *When you click on the link, you will leave St. Anne’s website and be directed to Lancaster County SPCA’s website. We have provided the link as a convenience and are not responsible for the content on third-party sites.